Instrument w budowie i brzmieniu bardzo podobny do klarnetu, aczkolwiek jego barwa jest bardziej ciepła i miękka, kanał cylindryczny, pojedynczy stroik. Budowany w XVII oraz XVIII w. w różnych odmianach – sopran, alt, tenor, bas. Zyskał w tamtym okresie bardzo dużą popularność dzięki prostej aplikaturze podobnej do fletu i wspaniałym możliwościom dynamicznym. Do naszych czasów zachowało się tylko parę egzemplarzy. Chalumeaux GT wykonane jest z drewna jaworowego, klapy wykonane są z mosiądzu. Please remember that the basic grips are written in the grips table. Just like every woodwinds, we use a lot of spare grips..
– if you tie the string on the headpiece high, you will have a high instinct. If you wrap the string lower, you will lower the intonation. Pay attention to the reed. Very often it is a bit shorter than the distance of the mouthpiece, because you have the opportunity to raise or lower it. This has a big impact on the nature of the sound. 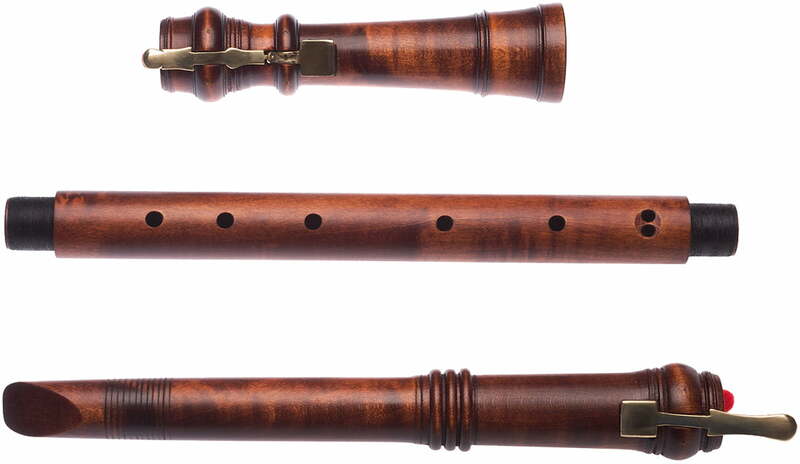 To Chalumeau: soprano, alt, we use reeds for the modern Vandoren clarinet number 2. For tenor and bass, we use the alto saxophone number 2 or 2,5. Reeds should be cut slightly to fit your instrument. 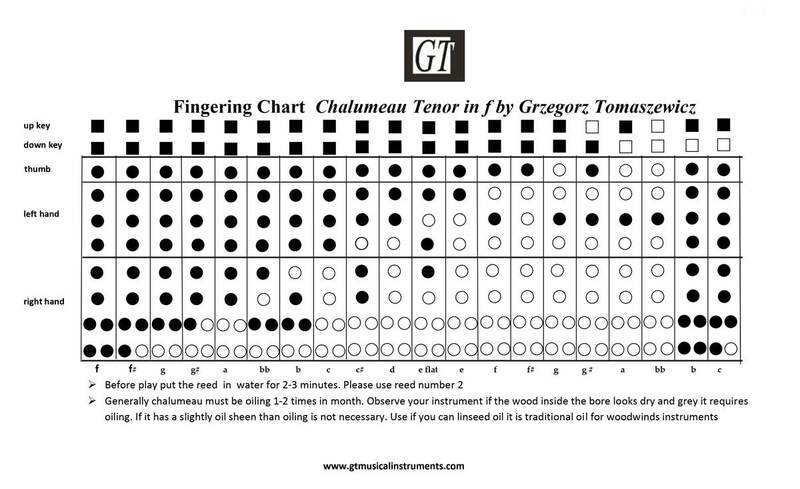 Please remember that changing the reed to another than the number 2 or 2.5 may affect somehow sound and intonation. Of course, your preferences can be slightly scratched if it’s too strong for your needs. Very important. At least once a week, you must lubricate the whole instrument with oil inside and outside. I recommend linseed oil or almond olive. During lubrication, the oil can not get on the keys from the bottoms. Remember to wipe the instrument well after oiling, blow holes with strong air. Before playing, we throw in a little bit of summer water for a few minutes. We are slowly playing the new instrument. In the first week, we play 15 minutes a day. In the second week, 20 minutes a day, etc., etc.